TriNet partners with small to mid-size businesses by providing a range of HR services, including core business offerings, strategic services, leadership training, and cloud products. Core services include payroll, benefits, risk and compliance, HR team, and cloud platform offerings such as online self-service, analytics, reporting, and mobile access. Three different bundled HR packages deliver core services while giving the client flexible options to meet the differing needs of various industries. TriNet: Individuals and smaller employers can have a very difficult time securing affordable, quality benefits on the open market. TriNet employee benefits are tailored to a client’s industry and include a range of major health care providers, offering different types of coverage, typically at a level only available from larger corporations. TriNet also offers voluntary benefits tailored to the HR bundle. TriNet: We offer a wide selection of comprehensive employee benefit plans tailored to the industry each client is in. Our breadth of plans includes everything from comprehensive medical, life, and disability insurance to retirement services and commuter benefits. We also work to make the plans as accessible and user-friendly as possible. TriNet: Our HR solution is virtually paperless, eliminating the need for employees and employers to manage many time-consuming paperwork and manual tasks. Everything from benefits funding, open enrollment, PTO, and employee onboarding is online and completely integrated into our secure online platform. 4. You talk about the employee self-service offering. How does this benefit my employees and my business? TriNet: We have invested significantly into building an industry-leading proprietary cloud-based technology infrastructure, creating role-based, HR self-service capabilities to help employees, managers, and executives access the information they need when they need it. Our secure online platform equips your managers with HR self-service features and real-time data to do such things as: onboarding and terminating employees, adjusting employee pay, viewing real-time benefits data, and creating compensation reports. The same role-based self-service system allows employees to view and manage their own payroll information, enroll in benefits, view paystubs and W–2s, and more. This enables employees to manage their HR anytime and anywhere, especially because TriNet provides a mobile app for Android and iOS mobile devices and tablets. 5. How much interaction is there between the PEO and my employees? How and where does the interaction take place? TriNet: We provide certified professional HR expertise for our clients. With our range of HR products comes a range of HR service types, specialists and teams who address issues and provide guidance across all HR functions. For example, we can provide best practices guidance on complex issues such as compliance, pre-employment screening, terminations, safety plans and employee payroll and benefit record management. TriNet provides HR professionals with in-depth HR experience in each industry we serve. 6. If my employees have an issue, who can they talk to? Do they contact the PEO directly or does everything have to go through me? TriNet: Depending upon the client industry, a TriNet HR team professional may facilitate and support you in handling your worksite employees’ HR management needs. Many TriNet products offer direct access to HR professionals and other subject matter experts to assist worksite employees. 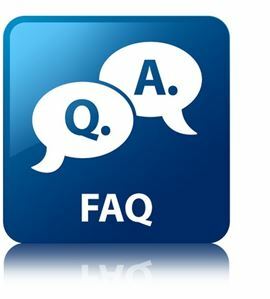 For non-urgent issues, employees can contact TriNet via email for comprehensive answers to all their questions. Our representatives are trained in all areas of human resources, including payroll, payroll tax, wages and employee benefits. 7. How much liability goes to the PEO vs. the business owner if there is a legal action against the company (sexual harassment, wrongful termination, etc.)? How much assistance does the PEO provide in settling these disputes and at what cost to me? TriNet: We offer Employment Practices Liability Insurance (EPLI), at no additional cost to our clients, to protect them from many liabilities inherent in the employment relationship, such as sexual harassment and wrongful termination. Deductibles and coverage vary and are subject to the policy terms and conditions; however, in general, TriNet manages covered claims in-house. In some cases, they are managed in concert with carrier approved outside counsel. TriNet: We do have an in-house legal department that offers guidance to our customer-facing team members who in turn provide best practice, legally compliant HR advice to our customers. TriNet does not and cannot provide legal advice to customers and are not available for direct contact with our customers. Part of TriNet’s core service is to provide its customers with HR advice and guidance for matters such as hiring, discipline and terminations. Our dedicated HR professionals are highly trained and skilled at helping businesses navigate the complex legal and regulatory environment that employers face on a daily basis; helping to mitigate risk and stay in compliance. 9. Who handles state unemployment taxes (SUTA) and claims? Do I have to do anything, and what is the extent of my involvement? TriNet: In a PEO relationship, TriNet becomes the “employer of record” and we assume certain rights and duties (and liabilities) for our customers’ employees, such as paying wages and withholding related taxes, including SUTA. TriNet also manages and processes unemployment claims on behalf of our customers, at no additional charge. 10. Will I lose control of certain aspects of my business if I go with a PEO? What specifically can I not do, or will I need PEO approval to do, once I sign up? TriNet: When working with a PEO like TriNet, your company enters into a shared employment relationship. TriNet becomes the "employer of record” and is responsible for payroll and payroll tax compliance, benefits administration, workers' compensation, processing unemployment claims, and other HR-related administrative tasks. Your company remains the "worksite employer" and continues to retain day-to-day control and direction of the worksite employees and your products and services. This shared relationship transfers many of the time-consuming administrative tasks and certain employer liability to TriNet, allowing you more time to focus on making core business decisions. 11. What, if anything, is the PEO able to do without my consent? TriNet: The TriNet service agreement outlines each party’s responsibilities and obligations. TriNet only acts on the customer’s behalf as agreed to in the agreement, and any related mutual agreements and/or in compliance with applicable law. 12. What kind of training and development offerings do you offer? In what areas are they available and is it offered online, onsite, or in a classroom? TriNet: We offer a range of development and training options. Our TriNet Learn cloud product consists of 500+ online courses to further develop your employees’ skills, including accounting, finance, workplace ethics, business writing, computer skills and compliance training. This is an easy, cost-effective way to help employees reach their full potential. As part of our strategic services offering, we also conduct leadership and manager training workshops at your location or in regional locations for clients who want to further their knowledge of best HR practices, culture building, performance coaching techniques, and the impact of discrimination and harassment in the workplace. TriNet: As with any business industry, there have been bad actors so you should be aware that not all PEOs are created equal. When considering partnering with a PEO, make sure to select one that has a proven track record of stability, compliance and solid financial strength to ensure that it is ethical, reliable and will be around for the long term. Founded in 1988, TriNet has been ESAC accredited since 1995 (when ESAC was formed). Employer Services Assurance Corporation accreditation is the PEO industry's "gold standard" for verifying PEO financial reliability and compliance. ESAC's accreditation process verifies a PEOs' ongoing financial solvency and compliance with government regulations and important industry standards that demonstrate the PEO's financial stability, ethical business conduct and adherence to operational standards and regulatory requirements. Accredited PEOs such as TriNet provide ESAC with comprehensive compliance data including audited financial statements, quarterly independent CPA verification of payment of taxes, benefit contributions and insurance premiums, and evidence of required employer insurance coverages. Compliance is then verified by independent financial and legal advisors and is backed by over $15 million of surety bonds held in trust at a national bank. TriNet offers bundled HR products designed to meet the specific needs of companies in different industries. Our specialization and focus enable each product to leverage deep industry expertise and best practices to benefit our customers. By transforming a traditionally high-overhead HR function into a suite of relevant in-demand services that empower all levels of an organization, TriNet allows executives to stay focused on growing their business, while improving the lives of their employees and their families.